John Falconer, an etcher, was a close friend of Cole and his family and made a number of prints after Cole's drawings. 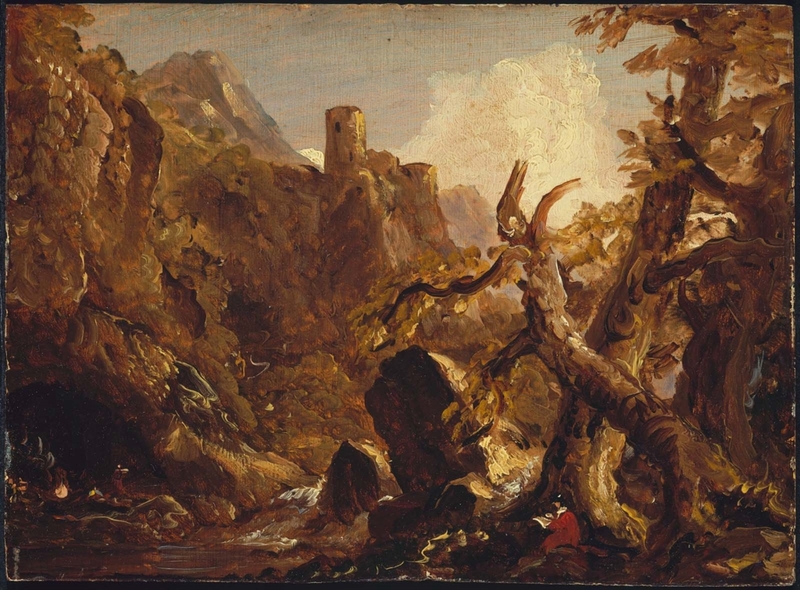 Falconer was likely given the painting by the Cole family well before 1897 when "Salvator Rosa Sketching Banditti" was exhibited at the Brooklyn Museum. See Richard W. Wallace, "Salvator Rosa in America," Wellesley, Mass. : Wellesley College Museum, 1979, p. 118.